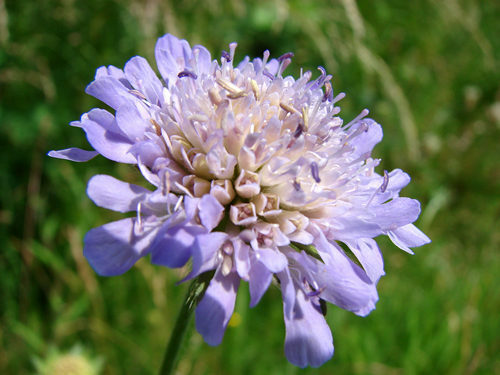 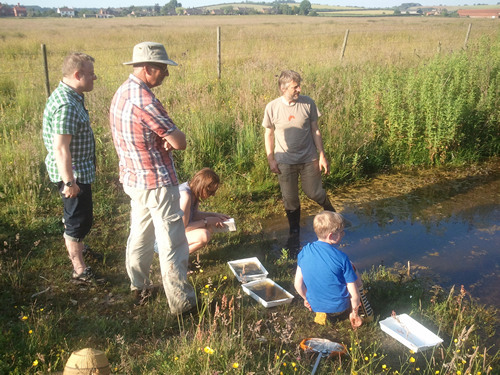 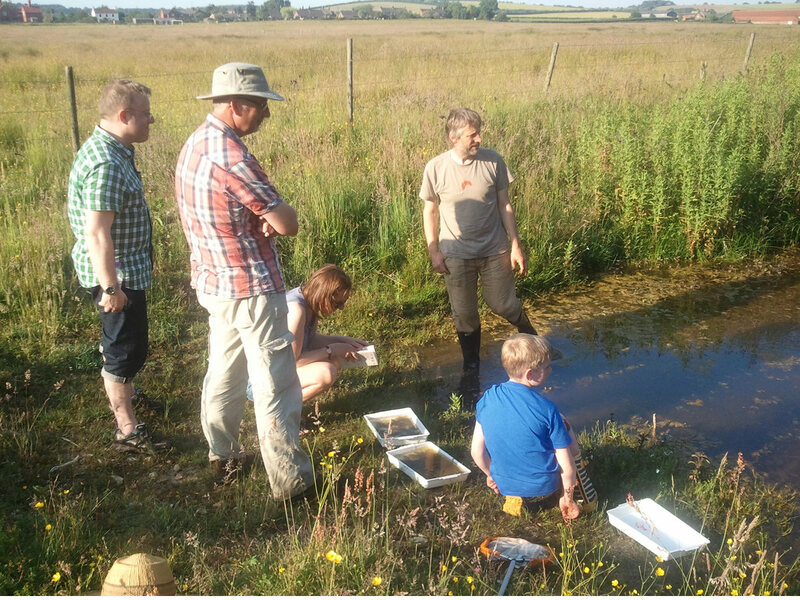 On Sunday 7th July Edward Cross of Abbey Farm hosted another open day with a series of 4 guided walks which looked at Bird Conservation on the farm; Bumblebees and other insects led by Nick Owens, author of "Bumblebees of Norfolk"; Butterflies led by Norfolk Butterfly Conservation and Ponds & Wetlands which included pond dipping and a close look at the chalk stream. 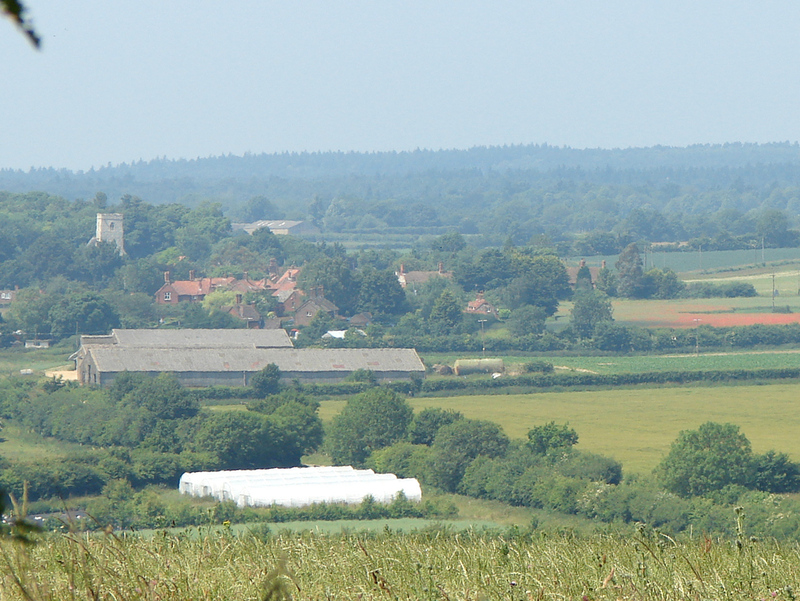 Additionally, visitors were allowed to wander at their own pace along set routes across the fields. The weather was clear and sunny and a good view of the village could be seen from the high ground east of the farm where chalk grassland lies in juxtaposition with glacial soils. 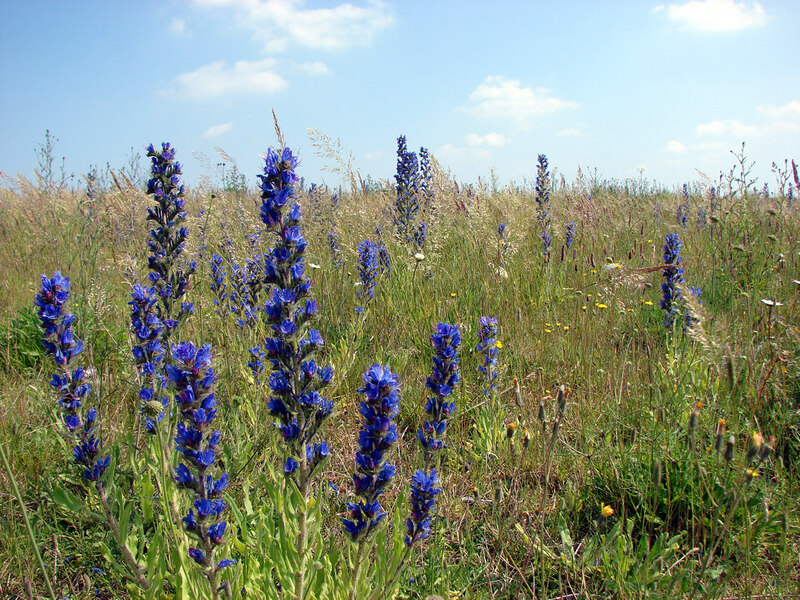 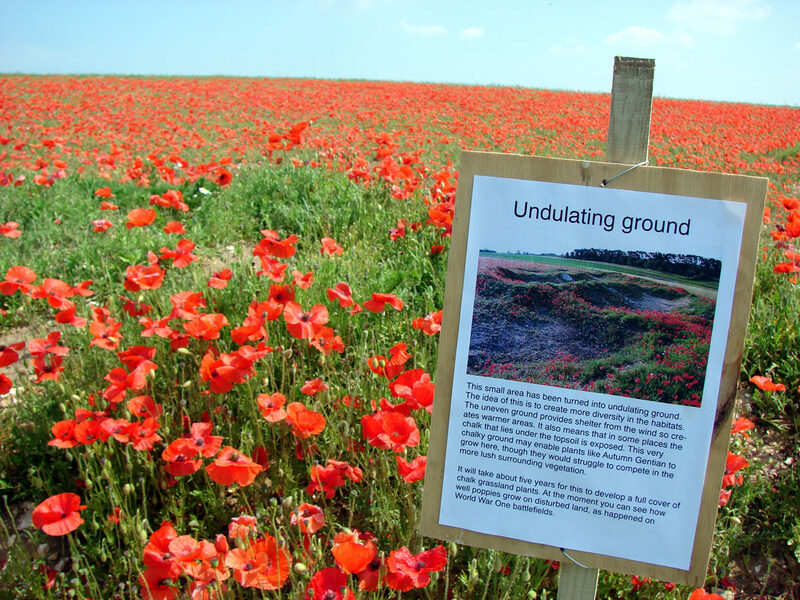 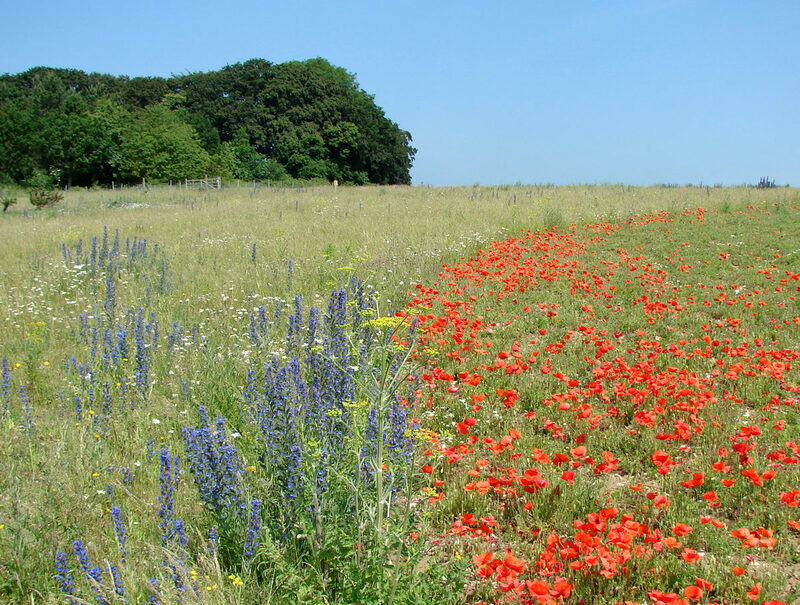 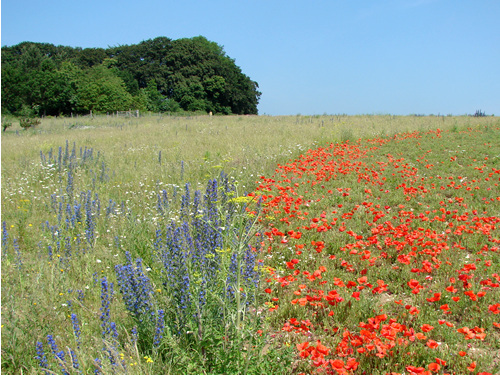 Some undulating ground has been created to provide greater diversity of habitats and poppies have immediately sprung up from the newly turned ground, making for a striking mix of colour alongside the deep blue Viper's Bugloss, which loves sandy soil. 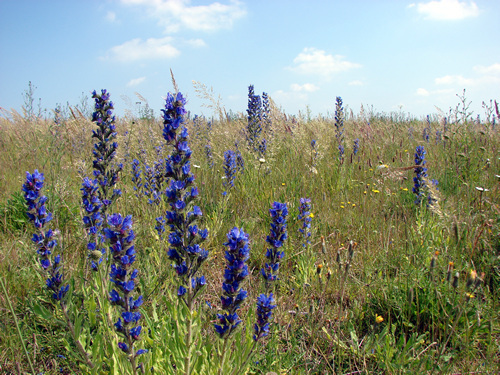 The following photos were taken on the day - enlargements will open by clicking on each image.